This is pocket Socks Dryer, it is not much bigger than can of coke, but it can dry any socks in few minutes. Inside is mechanism with fan just like in hair dryer, but stronger, and making bigger and warm stream of air. 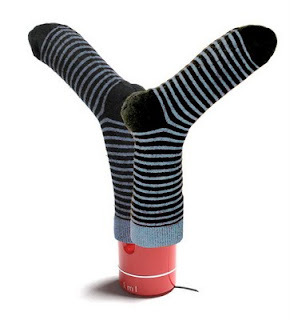 Drying socks stand and vibrate. So they are very attractive. Most of air go through main ventilators, dry socks and put them up. 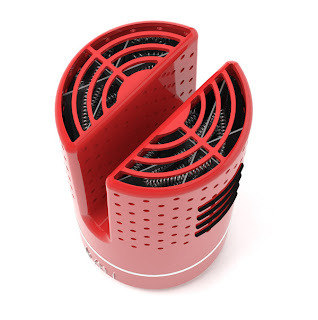 Perforation helps to dry parts of socks which are pulled on Dryer.